If you prefer buying meat in bulk, you may have wondered whether you can vacuum seal it rather than just freezing it wrapped in paper. The answer is yes, you can vacuum seal frozen meat. If the meat is already frozen, you don’t even need to thaw it first. Just seal it as it is. Vacuum sealing is one of the best ways to store not just frozen meat but many other foods as well. The process takes almost all the air out of the bag. This creates unsuitable conditions for the growth of microorganisms that break down food and cause it to go bad. It also ensures that oxidation – which can also spoil foods – doesn’t happen. Vacuum sealing also prevents freezer burn. This happens when water crystals in the meat are replaced by air. It causes the meat to dry out, loose its flavour and discolour. As I mentioned, do not bother thawing your meat before vacuum sealing it. If it’s fresh, you can seal it first before freezing it. It doesn’t even have to be raw meat. You can vacuum seal leftover meatballs or beef stew. Just make sure that your vacuum sealer can handle wet foods (most have a setting specifically for soups and stewed foods). If you buy meat in bulk, do not vacuum seal all of it in one large bag. Divvy it up into portions you can use at one time. This ensures that you only unseal what you need rather than unsealing and thawing all the meat then resealing what remains. For instance, when you buy ground meat make the meatballs immediately and then vacuum-seal the meat balls in several bags. If you’ve bought frozen meatballs at the grocery store, vacuum-seal them immediately you get home in several portions. This makes for a quick time-saving weeknight meal that your family will love. Can I Re-Use the Vacuum Sealer Bags? With most other foods (including fresh herbs and raw potatoes), you can reuse the vacuum sealer bags without any problem. Most of these bags are dish washer safe. But when it comes to frozen meat, the risk of leaving pathogens behind is too high no matter how much you wash the bag. So once you thaw the frozen meat, throw out the bag into the bin. This is why it’s a good idea to store frozen meat in small portions. There won’t be any remaining meat that needs to be re-sealed in a new bag. How Long Can I Store Vacuum Sealed Frozen Meat? Normal frozen meat has a freezer life of around 6 months. 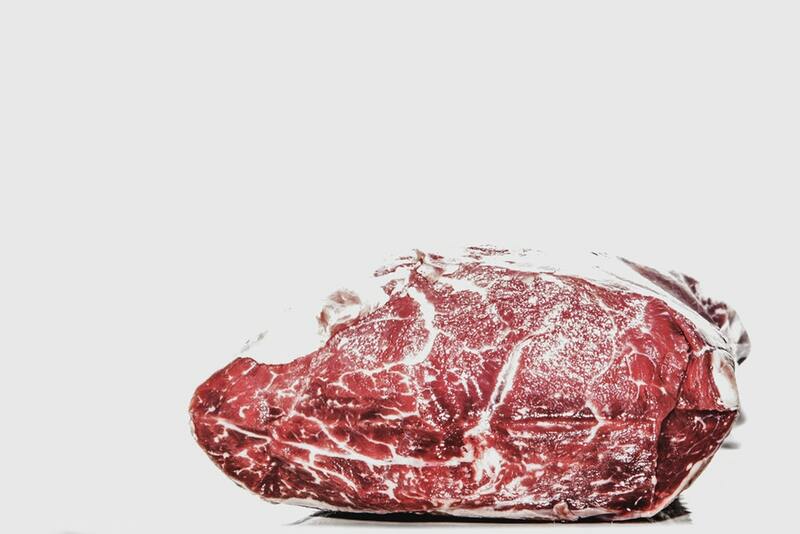 Vacuum sealed frozen meat can last for 2-3 years. For ground meat, keep it for 1 year maximum. Pro tip: Always label your vacuum sealed bags with the name of the food inside and the date you sealed it. This will help you keep track of different packaged meats and foods. One other thing: only use vacuum sealer bags. These bags are specially designed to offer a tight seal against air and moisture entry.